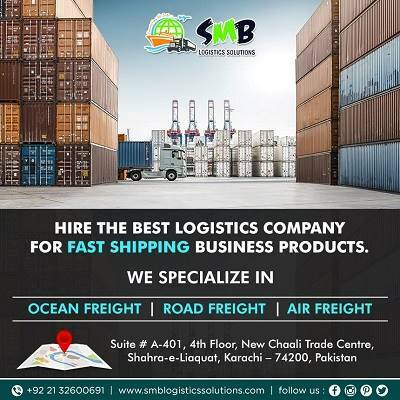 SMB Logistics Solutions is located in Karachi, Pakistan and provides high-quality global logistics services as per expectations of our valued customers. 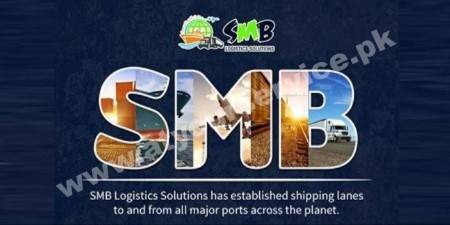 Expeditious, qualitative and yet the most economical logistics solution at the most competitive price are the challenges to the global logistics managing companies. And with the hard work and commitment of our dedicated team has won the trust and confidence of our customers. Our road, air, and ocean freight forwarding services are supported by a global network of operational bases spanning over more than 40 countries. Our services also include Customs Clearance and many other linked services. Our goal is to be a truly global total logistics provider, offering quality services on a scale that put us among the top notes of the industry. We provide One Window Operation door to door services for handling the logistics from start to the end point. Over the years, we have earned the status of undisputed conglomerate through effective and efficient communication and planning.